This text indicates that the two identified in Ephesians 2:11 as Gentiles and Jews, have become one in Christ. Jesus broke down the barrier dividing the two in order to create “one new man” in which there is peace and reconciliation. “One new man” is a metaphor for the church but, in spite of its apparent simplicity, two diametrically opposing views of its nature appear in the literature. Each of these views is underpinned by antithetical perspectives on Israel in the present era inaugurated by the Christ-event. The above-quoted scripture is the foundation for both Woods’ commentary in the current issue of Messiah Journal and Derek Leman’s commentary on his blog. Leman addresses “the wall” and what it might actually be from a Judaically-oriented interpretive perspective, and Woods takes on who this “one new man” might be. The Jew has been done away with as such, even as the Gentile has been done away with, in Christ…nothing that belonged to the old state is of any value or has any relevance in the new state. If you’re familiar with my views on supersessionism, otherwise known as replacement theology or fulfillment theology, then you know from my perspective, those are “fighting words. One new man does not mean that the distinction and mutuality between Jews and Gentiles are obliterated. Instead, it means that Jews as Jews and Gentiles as Gentiles, with their differences and distinctions, live in unity and mutual blessing in Yeshua…they do not become a new generic, uniform humanity. This harkens back to certain passages of Carl Kinbar’s article from the same issue of Messiah Journal: “The Promises to Abraham, Isaac, and Jacob, Part 1” which I mentioned in my previous blog post. God endowed the Jews, through the patriarchs, with certain blessings and responsibilities, and one of those responsibilities is, through Abraham, being a blessing to the Gentiles. This operates through the faithfulness of Messiah and Gentile faith in the God of Israel through Messiah Yeshua, and it only works if Israel, that is, the Jewish people, remain distinct from the Gentile disciples in the Ekklesia of Messiah. Distinction theory is my term for the theological framework which understands Jewish and Gentile believers in Jesus as distinct in certain significant theological senses, including identity and function (role, service) in the economy of God’s kingdom. That is, a biblical differentiation exists between Israel and the nations within the church similar to that which existed before Christ. This distinction results in a twofold structure within the church that I label “intra-ecclesial Jew-Gentile distinction.” In this framework, the “one new man” or “humanity” as I shall explain, comprises Jews and Gentiles who together are devoted to Jesus. I know that statement won’t sit well with some people reading this, namely more traditional, mainstream Christians, and certainly many Hebrew Roots proponents. 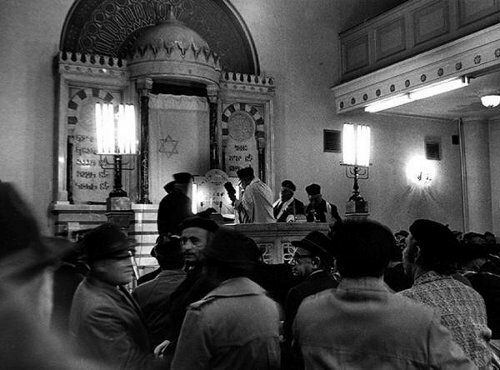 Woods intends on showing from his analysis of scripture, how his view is more Biblically sustainable than those views that insist on the obliteration of Jewish uniqueness of identity and corporate covenant responsibility, either by, in essence, “Gentile-izing” them (and recall that Kinbar says you can’t “unJew” a Jew) or erasing Jewish distinction by assigning Jewish roles and responsibilities to both Jews and Gentiles equally. To do this, Woods proposes to take the phrase “one new man” and analyze the Greek (and Hebrew) one word at a time. Unfortunately, by the time he ended part 1 of his article, he had addressed only the first word. Hena assuredly means one, but Jewish and Christian scholars alike are aware that the word is laden with theological import. God, says Deuteronomy 6:4, is one (…echad–or heis in the Septuagint, where heis and hena are inflections of the same word). Relative to the Shema and “the LORD is One”, it is just as accurate to translate echad as “unique” or “alone”. Applied to the “one” in “one new man,” this changes the meaning somewhat, from a single fused entity, to a grouping that has the potential to contain other groupings. Certainly “alone” could be compared to “called out”. …rather that God alone is to be worshiped to the exclusion of all other gods. Looking back upon the “one new man” as the Messiah’s Ekklesia, we can see that it’s possible to have a group of called out ones that are echad and yet not only can contain sub-groups that are distinct, but that the Ekklesia’s very existence is dependent upon the Jewish and Gentile sub-groups within the larger “one” group remaining distinct and also complementary. …that the principle distinction between members of the body is their status in Israel: They are either members of Israel (Jews), or they are drawn from among the nations (Gentiles/non-Jews) into fellowship with Israel–yet without becoming Jews. I might change that last part to say that we Gentiles in the Ekklesia are drawn “into fellowship with Israel without becoming Israel.” We have fellowship with Israel without replacing or usurping Israel’s unique covenant relationship with and responsibility to God. Woods continues building his case for several more pages, but I believe I’ve presented sufficient examples to illustrate where he’s going. However, he won’t begin discussing his understanding of the word “new” until the next issue of Messiah Journal which will be published this coming summer. First, Svartvik said we need to keep in mind a Jewish understanding of sacrifice and the Temple worship, as opposed to same later Christian re-interpretations. Sacrifice at the Temple was about staying in the covenant and not getting in. People were not trying to “get saved” or “be born again” in offering a lamb. They already were in and sacrifices were part of keeping right relation with God. Second, sacrifice in the Bible is about nearness, the spatial metaphor of “drawing near” to God. The verb most used for offering a sacrifice means literally “bring near.” (As a Hebrew Bible devotee, I can tell you, this is not only true, it is one of the most profound things I wish people knew about the sacrifices and it is one of the major issues I discuss in my book, Yeshua Our Atonement). We might notice that in Ephesians 2 the same nearness issue is being discussed: those who were far off are now brought near. The Jewish people were near to God and the Gentiles were far off. So how could those who were far off be brought near to those who were already near (the Jews)? How was the enmity between Jews and Gentiles to be resolved? By doing away with Jewish obligation to Torah? 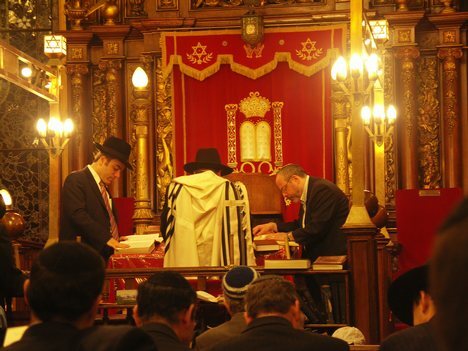 By mandating that Jewish obligation to Torah also be assigned equally to the Gentile? As we see from Woods, forming an “echad” Ekklesia of Jews and Gentiles doesn’t require that both groups be eliminated to form a new, homogenous entity with no distinctiveness contained within it. 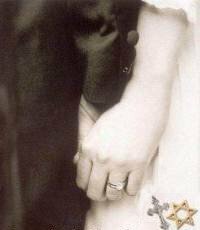 Let’s go back to Woods’ comparison of “one” as the “echad” of a marriage. A man and a woman meet and fall in love. They desire to marry, but there are “issues” that stand between them that must be resolved before they can enter into a life-long commitment to one another. You might say that they have to overcome any “mistrust and enmity” between them before they can be joined as “one flesh” and become something new, not two individuals, male and female, living apart, but “one flesh”, male and female, living in a single family and yet requiring they maintain their distinctiveness. You can go to Leman’s blog to read the entire text of his essay as well as view the ongoing discussion, but hopefully, I’ve adequately summarized his main point regarding the nature of the “dividing wall” that was torn down through the Messiah. The dividing wall is just a metaphor for the mistrust and enmity that previously existed between Jew and Gentile. In Messiah, those barriers are gone and Jewish and Gentile disciples of the Master can co-exist within the Ekklesia while remaining Jewish and Gentile. This is the same thing as a man and woman getting married and remaining male and female within the family. By the way, I should say the theory I just put out there concerning the meaning of “law of commandments in decrees” could never be fully verified as it is an example of trying to fill in a gap left by the writer. We can only guess what fills in the gap. The guess that “law of commandments in decrees” means the whole Torah has huge problems, not least of which is that is a strange way of describing Torah as a whole. My take away from reviewing Kinbar’s, Woods’ and Leman’s work is that the concept of two unique and complementary groups, one made up of Jews and the other of Gentiles, operating within a single Ekklesia, and indeed, providing mutual blessings to one another, is certainly supportable from a Biblical viewpoint that is Israel-focused and Judaically-oriented, and may well represent the Apostle Paul’s original viewpoint. Adopting that viewpoint requires divorcing ourselves from the more traditional Christian exegetical perspective on Paul in particular and the Bible in general, so that we may attempt to recapture the actual context and meaning of Paul and the other Bible writers, who were attempting to communicate how God’s vast, sweeping redemptive plan for Israel and the nations was to unfold, first through the Torah, then the Prophets, and finally the revelation of Messiah. In Part 1, I said that in order to understand the role and purpose of the Messianic Gentile, we needed to understand the role of the Messianic Jew in the Ekklesia. So what did we Gentiles learn about ourselves? Hopefully, I illustrated that our role is to be joined with Israel, not to become or replace Israel. 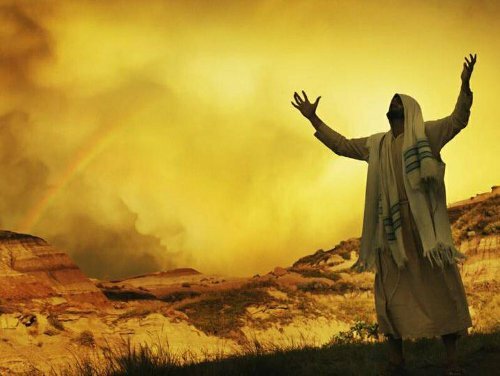 And as I’ve stated before, our purpose in the Ekklesia, in response to being blessed by the Jewish people and the promises God made to Abraham, is to support and encourage Jewish Torah observance and covenant obedience, for without an Israel oriented toward God, there is no redemption for the world. In the New Covenant, Yeshua acts as priest, sacrifice, and mediator. Installment 36 in the Beth Immanuel Hebrews series finishes Hebrews 9 with a discussion on Hebrews 9:15-28 and the Messiah’s role as a mediator between Israel and God. Lancaster started off his sermon on a different note than usual this week, stating that he’d been reading a book called A Jewish Response to Missionaries produced by Jews for Judaism, which is an “anti-missionary” organization. According to something in the book, Lancaster said that Judaism has a prohibition against mediators since a mediator between a person and God violates the second commandment not to have any god before Hashem. Sure, we can pray as individuals, and in any event, God knows our every thought, so it’s not like we need someone to help us communicate to God what we’re thinking and feeling. On the other hand, if the Jewish people didn’t need a mediator, why was there a priesthood? Why were there sacrifices? 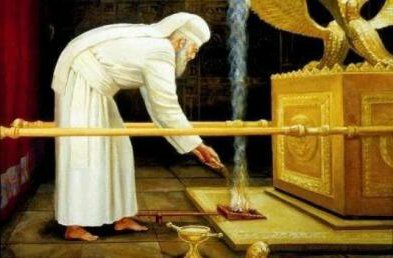 Why was there a Holy of Holies in the Tabernacle? And why was there Moses? Actually, Chasidic Judaism very much believes in mediators and relies on a tzaddik, their Rebbe, to act as mediator. So the Jewish prohibition against mediators seems to only apply when combating Christianity, as Lancaster says. Why the Law then? It was added because of transgressions, having been ordained through angels by the agency of a mediator, until the seed would come to whom the promise had been made. 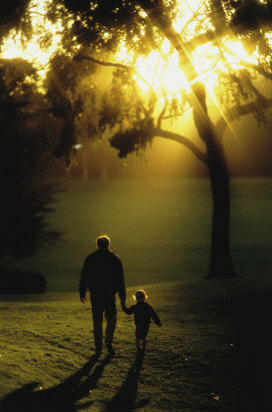 Now a mediator is not for one party only; whereas God is only one. Paul himself said that the Torah was delivered to the Israelites through a mediator and would remain in effect until such time as “the seed” would come, meaning Messiah. 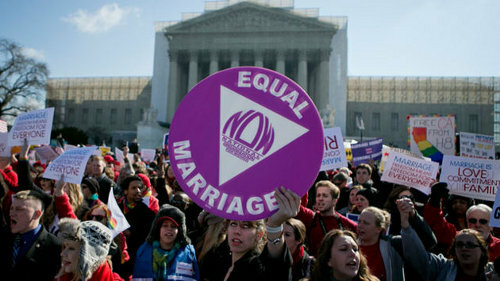 This isn’t to say that the Old Covenant and the Torah are not in effect today. They still are. But we are still living in Old (Sinai) Covenant times. 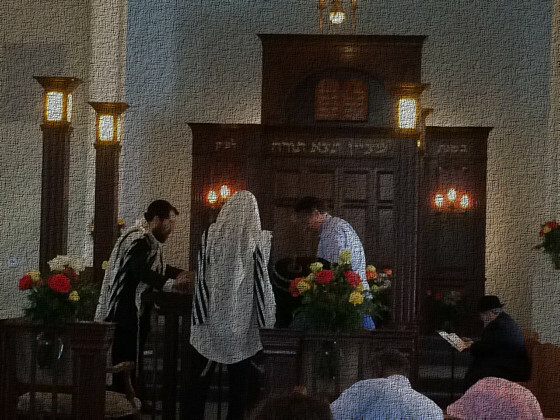 The New Covenant won’t fully arrive until the resurrection and return of Messiah (but I’m getting ahead of myself), but even then, the Torah remains as the conditions of the New Covenant, too. What is a mediator? Someone who negotiates an arrangement between two parties. Paul said “God is only one,” so the other party to the Sinai Covenant must be Israel. 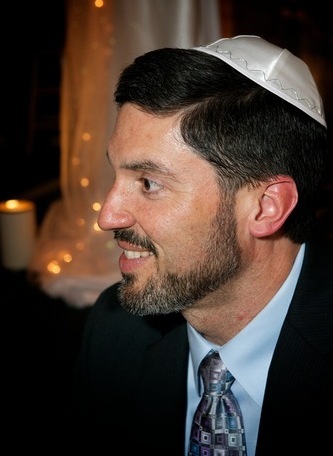 Lancaster says that the midrash likens Moses to the friend of the bridegroom (God) so to speak, like a matchmaker arranging a “match” between a man and woman for marriage (think Fiddler on the Roof, which is what the image at the very top of the blog post references). 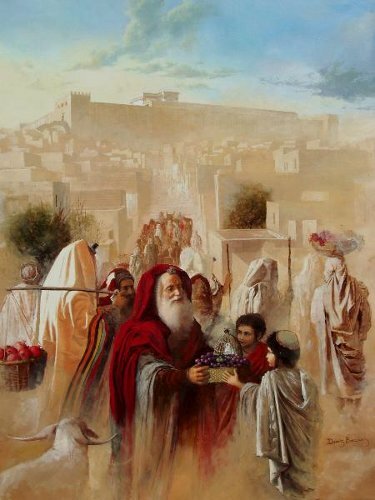 Picture Moses going up and down the mountain carrying messages between Israel and God and between God and Israel, like a friend carrying love notes between a man and a woman who are courting. And in Exodus 24 Moses even performs the ceremony as such. 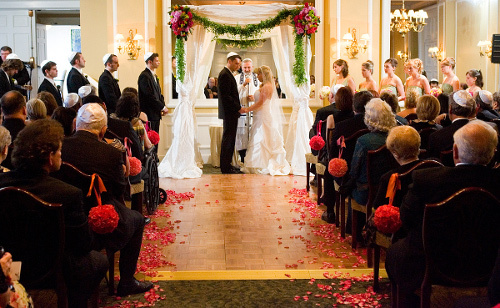 Oaths are exchanged, blood is splashed, and afterward, everybody gets together in the presence of the bride and groom for a covenant meal, like a wedding reception. 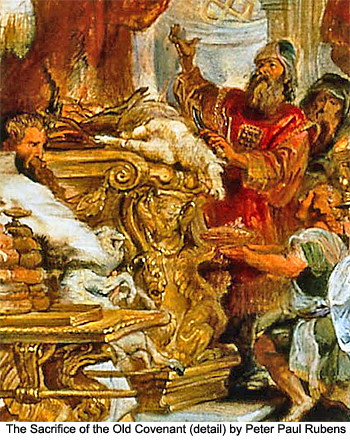 Lancaster says that the Last Supper, or Last Seder if you will, also functions like a covenant meal in the presence of both parties, with the Master in the role of the mediator, representing the groom (God the Father), and the Apostles representing Israel, just as the elders of the tribes at the first covenant meal represented Israel. Seems like a pretty pointblank statement to me. Jesus is the mediator of the New Covenant between man and God. However, there’s a part of these verses that has always hung me up and I think Lancaster solves my problem. For this reason He is the mediator of a new covenant, so that, since a death has taken place for the redemption of the transgressions that were committed under the first covenant, those who have been called may receive the promise of the eternal inheritance. For where a covenant is, there must of necessity be the death of the one who made it. For a covenant is valid only when men are dead, for it is never in force while the one who made it lives. Therefore even the first covenant was not inaugurated without blood. 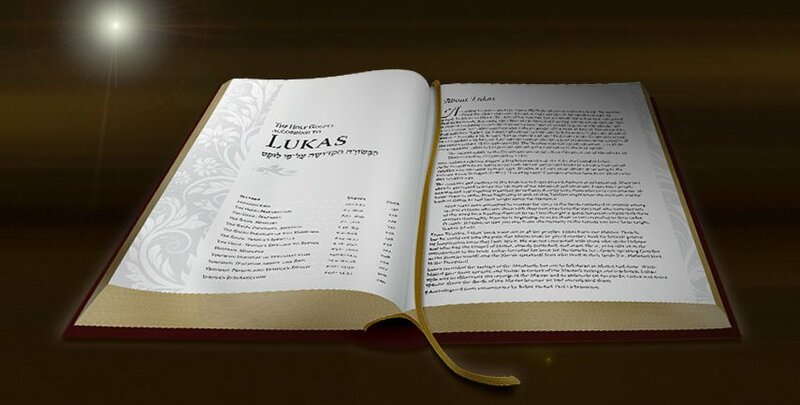 Depending on the translation you have, you either see the word “covenant” being used or “testament” as in “last will and testament.” Except a covenant and a testament are not the same thing at all. It’s pretty confusing in English. But apparently, “covenant” and “testament” are the same word in Biblical Greek and Paul was using a bit of word play. It makes sense in Greek but is useless in English. However, it’s really just a simple point as Lancaster says. 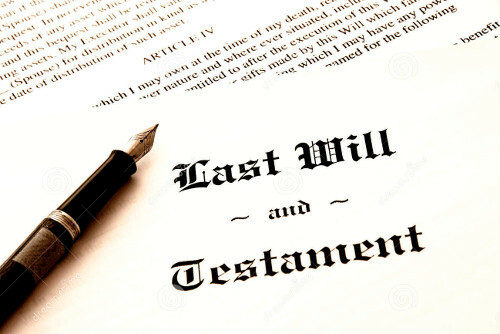 Just as a last will and testament doesn’t come into effect until a person dies, a covenant doesn’t come into effect until there’s been a sacrifice and shedding of blood. That’s all the writer of the Book of Hebrews is saying here. Don’t get hung up on any deeper symbolism or meaning. It doesn’t exist except in the thoughts of theologians, scholars, or sometimes people who like to find what isn’t there. Verses 19-22 describe the events of Exodus 24 with some minor variations, and then Lancaster goes on to compare Moses and Jesus, whereby Moses made the Sinai Covenant come into effect by splashing the blood of the sacrifice, Jesus inaugurated the New Covenant with his blood. Lancaster was very careful to say that Jesus didn’t literally enter the Heavenly Holy of Holies carrying a bowl of his own blood, this is symbolic language and imagery. He entered the Most Holy Place in Heaven on the merit of his righteousness and sacrifice as the greatest tzaddik of his or any other generation, not because he was a literal human sacrifice. Verses 24 and 25 use the illustration of the Aaronic High Priest who every Yom Kippur, enters the Holy of Holies with blood to offer atonement for the people of Israel. He offers the blood of the sacrifice and he prays for the people. 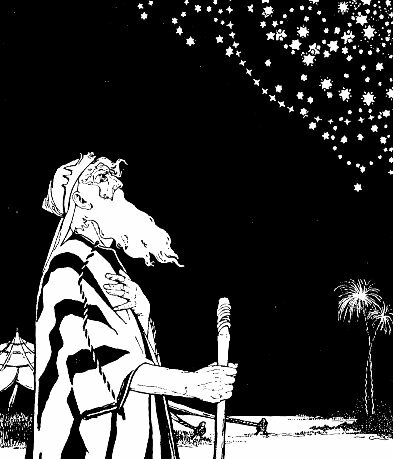 According to midrash, he was told not to pray too long because while the High Priest may be basking in the Holiness of God, the people outside, since no one can go in with the High Priest, are “freaking out” wondering what happened to him and if the act and prayers of atonement were successful. So too are we waiting for our High Priest to return so that we know, so to speak, that his atonement for us was also successful (though we know it was and is). 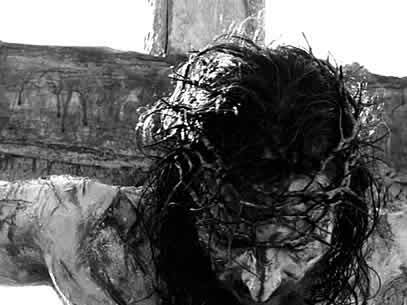 Yeshua, our High Priest, is tarrying in his prayers of atonement on our behalf. This is still a “virtual” Yom Kippur. He will emerge from the Heavenly Holy of Holies upon his return to us and then we will know. Jesus as our High Priest, our sacrifice, and our mediator, is the way into the New Covenant through our faith in what his work accomplished, and that faith and acknowledgement of him as mediator is required for us to participate in the blessings of the New Covenant. Verse 28 speaks of those who eagerly await Messiah’s return. That applies to us as we eagerly await him, await the resurrection, await the terrible and awesome days of the Lord, and await the establishment of his Kingdom and the life of the world to come. Just about all of this was an eye opener. I had some vague notion of Jesus being the New Covenant mediator as Moses mediated the Sinai Covenant, but Lancaster added a great deal of detail, putting flesh on the mere skeleton of information I possessed as far as Hebrews 9 is concerned. 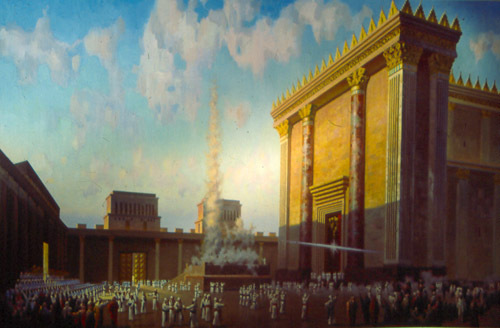 I especially appreciated the comparison between the Aaronic High Priest in the Holy of Holies on Yom Kippur and Yeshua as the High Priest in the Heavenly Holy of Holies, which represents the Messianic Age to come, a place, like the earthly High Priest, where only he can go, and we can only anxiously wait for him on the outside, wondering what’s happening in there and how long it is going to be before he comes back for us. How long, Moshiach? How long? Lancaster has a talent for taking what seems to be very mysterious portions of scripture and removing the disguise, so to speak, to give the words and passages a plain and understandable meaning. Reading all this before, I don’t know what I thought about it, but now it makes a lot more sense. Only four more chapters to go in Hebrews, which will take nine more sermons, nine more weeks for me to review. I didn’t cover everything Lancaster taught in today’s sermon, so you might want to listen to it yourself. This one is fairly brief at just barely 29 minutes. You can find the link above.